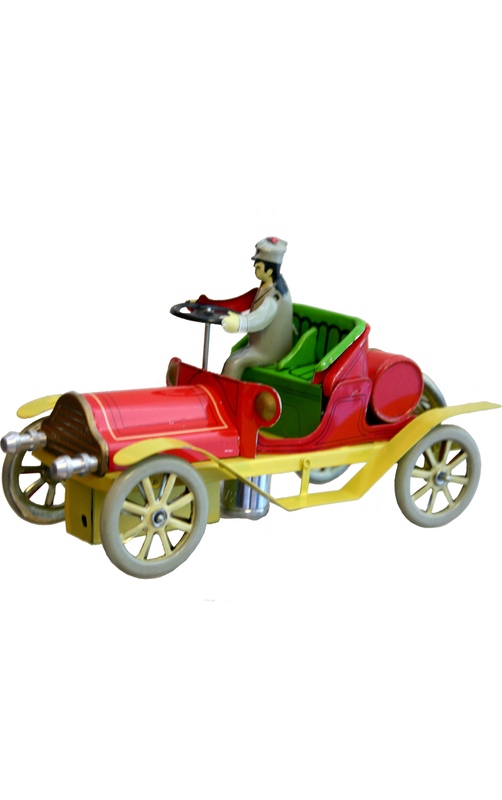 MS267 - Collectible Tin Toy - Car - 4H x 7"W x 3"D"
Tin wind-up "Brass" style car from the turn of the century - Made in China. Recommended for adult collectors. MS657 - Collectible Tin Toy - Spinning Egg - 2.75"H x 2.175"W x 4.5"